These 130 mm square parchment envelopes are produced from the finest Keaykolour original parchment natural 90 gsm Paper. This is a rich but delicate shade of contemporary mottled coloured paper – made using 30% post-consumer recycled pulp. One of the best recycled range of papers around. 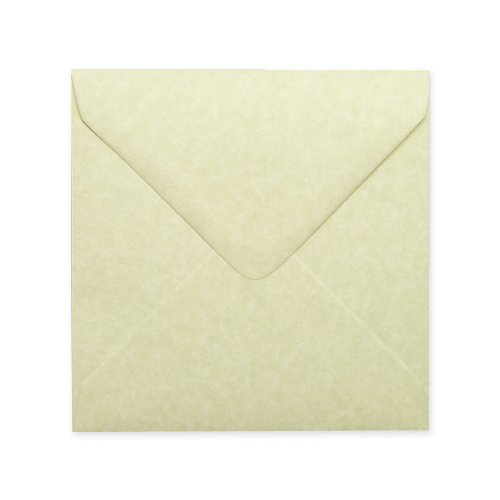 These high quality square parchment envelopes stand out from the crowd and are perfect for all occasions.